How did machine cryptography come about? The necessity to use encrypting machines was motivated by two basic factors: the emergence of citizen armies of considerable size and the use, in communication, of media sensitive to tapping. Most wars in history were fought by small, less or more professional, armies operating on a limited territory. The French Revolution gave rise to the first large citizen army, and the scale of this phenomenon was susequently expanded by Napoleon. As armies had grown in size, wars they fought were no longer limited to a small territory and could spread over the whole continents. The American Civil War can be considered to be the example of an advanced war fought on a territory extending over thousands of kilometres. It was possible to conduct this war on such an unprecedented scale because of the large-scale usage of two technical innovations: the railway and the telegraph. The railway offered the opportunity to transfer relatively fast a huge number of soldiers and tons of supplies to most distant locations. The telegraph, on the other hand, allowed to coordinate the operations of military units in the theatres of war located even thousands of kilometres away from their headquarters and commanders. It is estimated that, during the America Civil War, over six million military telegrams were sent in the North alone. However, the use of the telegraph for military purposes exposed military communication to new threats, unheard of until then. Maintaining a continuous surveillance of thousands of kilometres of telegraph lines was impossible, and therefore the enemy could connect to the line at any point and simply listen to the messages being sent. This threat became even more noticable during World War I, when the telegraph was largely replaced by the radio. As a matter of fact, the interception of radio transmitted messages turned out to be even simpler than that of the telegraph ones. Therefore, it can be said that codes and encryption were used for the first time on such a large scale in the American Civil War, and World War I to protect the contents of communication. It quickly turned out, however, that the manual encryption and coding systems used at the time were ineffective. As a consequence, an increasing number of cryptographers had to be trained. The pressure of war led to the shortening of the training of new cryptographers, and in consequence to the lowering of the level of their skills. They would make numerous errors, causing the messages impossible to understand, thus leading to having to transmit the messages again. Occasionally it would get even worse, their mistakes would make it easier for the enemy to break the code and read the message. Therefore, at the final stage of World War I, an idea emerged independently in a couple of places in the world to replace a human-cryptographer with a cipher machine that operates quickly and faultlessly. It seems that the first cipher machine was created by two officers of Dutch navy, but unfortunately they were robbed of this invention, in the name of the law, by their superiors. Independently, a cipher machine was patented by an American, Edward Hebern. The invention turned out not to make a great success. First, the company he created to use the invention went bankrupt, and then his patent rights were infringed by the American government that produced the machines without the inventor’s licence. Finally, in February 1918, a patent application for a cipher machine was submitted by a German engineer, Arthur Scherbius. His invention, the Enigma cipher machine, was to achieve the status of the most famous cipher machine in history. Why did Enigma become so important for the course of the World War II? While two new types of weapon – aircraft and tank – were already in use during the World War I, military theorists did not manage to propose any manner of using them in their full potential during this conflict. After the end of the war, some theorists proposed new rules of warfare, based on the possibilities offered by these two types of weapons. In Great Britain, a concept of using tanks as a force breaking enemy defence lines and disorganising enemy back-up facilities was developed. Giulio Douhet, an Italian theorist, forecast the key role of air forces, spreading terror and forcing the enemy to surrender even without the use of land forces. In the mid-30s., a German general, Heinz Guderian, made a synthesis of earlier concepts and proposed a novel warfare doctrine, which went down on the pages of the history as Blitzkrieg, or lightning war. Under this doctrine, tanks were to break the enemy defence lines disregarding isolated points of resistance, and then move into deep rear of defence, disorganising command and supply of fighting troops, and spreading terror among civil population. During such rallies, they were to closely cooperate with air forces performing surveillance tasks for them, and acting as a flying artillery, bombing the crucial points of resistance, and providing fuel and ammunition for tanks to field air strips. Such a close cooperation between armoured forces and air forces, implemented in addition on a terrain under control of the enemy (at least nominally), required exact coordination of operations possible only with the use of radio. But radio was not a secure communication means; Guderian needed a quick and infallible method to encrypt the messages. And this role was assumed by a transportable and easy-in-use cipher machine, Enigma. Without broad use of radio and Enigma, Blitzkrieg would have been impossible – there were the third term, apart from tanks and aircrafts – of the new military doctrine. Bf 109 D-1 at airport Gross-Stein, August 1939 r.
Why did the Germans consider Enigma to be a secure encryption tool? In the end of the World War I, cryptologists knew and efficiently used methods of attack on virtually all encryption and information coding methods known to date. In many cases, successful attack would require additional external help in the form of an error of a cryptographer, stolen or captured information on a massage’s content, the encryption key used, or simply luck. If a cryptographer did not have any of the above advantages, he was still capable of achieving success, which however required reaching the limits of the human mind. But it was possible to draw a lesson from the past – the main difficulty in breaking ciphers and codes was enormous amount of information that a cryptologist had to take into account. Thus, e.g., during the World War I in Great Britain, people who were accustomed to deal with great numbers were recruited to work in cryptologic units – bookkeepers of great companies, brokers from the London City etc. Nevertheless, the number of combinations generated by Enigma dramatically exceeded even the numbers which brokers from the City were accustomed to. It was the very basis for confidence placed in the machine by people who decided to use it in the German armed forces. To assess the safety of Enigma ciphers, they employed most competent people – mathematicians. And the latter meticulously calculated that the number of combinations of specific elements of the machine exceeded the number of atoms in the universe many times. An additional safety margin was to be provided by the veil of secret that surrounded the military model of Enigma. Its design, encryption keys and principles of use constituted one of the most preserved secrets of Wehrmacht. However, security specialists from the German army did not take into account two factors. The first one was money. One of the greatest leaders of all times, Alexander the Great, used to say that there is no stronghold you cannot conquer if only there is a gate in the walls wide enough to let in a donkey loaded with gold. And apparently, the cipher unit of the German army also had such a gate. Another factor was mathematics. When German mathematicians diligently counted the number of combinations generated by the machine, they overlooked that there is a group of people whom giant numbers resulting from the calculations could not impress – their own colleagues, mathematicians. How did they manage to break the code of a machine considered unbreakable? The cryptologists from most countries considered Enigma unbreakable. The British, whose skills in breaking ciphers and codes were at that time at the highest level, for a whole decade before the war abandoned even listening to the German radio communication encoded with Enigma. They decided it was a waste of time listening to messages which they considered unbreakable anyway. The French, who owed many of their victories in World War I to cryptologists, neglected the development of cryptologic services after the war. 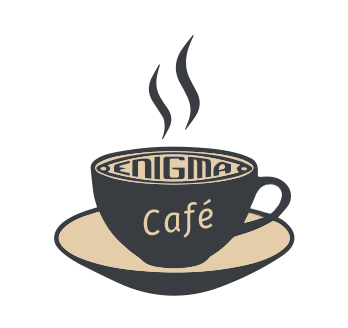 And as they were unable to count on cryptologists, they turned to rely on spies, hoping that they will be able to steal or buy the secret of Enigma. Their hopes were partially fulfilled when a clerk employed in the German cipher bureau contacted the French intelligence ready to sell some of the bureau’s secrets. In the next 10 years, he sold a lot of German secrets to the French providing them with the Enigma’s operation manuals and encryption keys for a long time. Unfortunately, the French cryptologists were evidently unable to use the material provided by the spies. As a result, they first turned to the Brits with an offer of cooperation. In return for sharing the costs the British intelligence were to receive the copies of all the documentation obtained. Their offer was rejected within three days, the British considered the documentation to be worthless. With no better alternative, the French turned to Warsaw and promised to make the copies of all the documentation available to the Polish intelligence service, in return for sharing all possible results achieved on the basis of this information. The Poles noticed the use of Enigma around 1928. German soliders working on enigmas. The head of the German section of the Polish Cipher Office, Maksymilian Ciężki, soon realised that it was necessary to use entirely new methods of attack on the code. Athough, his first attempt might have seemed quite bizarre. He showed some code samples to Ossowiecki, an engineer and a renowned paranormal phenomena specialist. Ossowiecki was well known for his ability to read out the content of letters enclosed in a number of envelopes, inserted one into another, but the envelope of the Enigma code turned out to be opaque even to him. Ciężki realised that there is a long and difficult fight ahead of him, so he prepared a long-term strategy of the attack on the cipher. He organised a cryptology course for a group of students of mathematics from Poznań University, allowing the best graduates to undergo a three-year internship in the Cipher Bureau branch, created in Poznań especially for that particular purpose. Interestingly enough, more or less at the same time the intelligence services of some other countries, including the United States and Sweden, also decided to employ mathematicians. Nonetheles, Ciężki was the first to do this, thus defining the future of cryptologist profession. In September 1932, the three mathematicians who managed to get through the period of probation were moved to Warsaw. A month later, Ciężki revealed to the oldest of them, Marian Rejewski, that the objective of their training was to prepare them to attack the code of Enigma, a machine they had never heard of before. Had Rejewski originated from the former generation of cryptologists, he would have probably started his attack on the code with the use of traditional methods – and he would probably have failed. But in the autumn of 1932, Rejewski was above all a mathematician, and only then – a cryptologist. He quickly transformed the information available about the machine into a system of equations and then proceeded to solve them. He encountered a couple of obstacles on his way. First of them was the fact that the variables in his equations were replaced by permutations. No one before him had even tried to solve a system of equations based on permutations. Rejewski, however, formulated the necessary theory. One of the mathematical propositions of his theory was many years later called 'the equation that won World War II'. The most important result of his theoretical investigations was that it allowed to divide the enormous problem into a couple of problems of minor imortance, that could be dealt with separately. The other issue Rejewski had to confront was the fact that he did not know the connections in the Enigma switchboard. The fact that they were modified on a day-to-day basis contributed to the increase in the number of combinations generated by the machine. Fortunately, Ciężki had at his disposal the materials provided by the French intelligence, including the tables of keys for two months. The settings of the switchboard constituted an element of the key, so Rejewski could treat them as an overt element of his equations. The third and the last of his problems with working out the machine was the fact that he was unfamiliar with the connections in the so-called input roller of the machine. Rejewski tried various methods of attack, and finally, after a couple of weeks of a futile struggle, he was prepared to abandon the approach he had been analysing so far. However, before abandoning it, he realised that the Germans, being well-organised and systematic, could have used a scheme, instead of entirely random connections, based on some principle. First, he tried an approach based on the keyboard layout – with no effect. Then, he assumed that an alphabetic order had been used and to his surprise, the equations showed a solution! By solving the system of equations he had formulated, he managed to determine the internal design of a machine he had never seen before. Between Christmas and New Year he managed to read out his first Enigma message. A cipher that had been considered unbreakable gave up after less than 3 months of Rejewski's methodical attacks. What was the significance of breaking the Enigma code for the course of World War II? The weakness of the Polish army did not allow to take due advantage of Enigma decryption during the campaign in September 1939. As early as before the outbreak of war the Poles revealed their secret of breaking the Enigma code to the future allies, France and Great Britain. The French did not make much use of the information, the British, on the other hand, immediately initiated organising a large cryptologic organisation, which by the end of war, in Bletchley Park alone, employed nearly 12 thousand people. A Victorian mansion in Bletchley. The cryptologists from Bletchley Park, in time, could control virtually all of the German ciphers, by breaking the messages sent by all types of German armed forces and reading them out often even before the proper addressee was able to do it. It cannot be denied that the decryption of Enigma played a key role during World War II. It is also commonly acknowledged today that sharing the secret of breaking its cipher with the Allies constituted the most important Polish contribution to the victory of the Allies in the whole conflict. But how did this success influence the course of the war? To put it shortly, the opinions of historians vary. Even the most cautious ones agree that the breaking of the Enigma code significantly shortened the war, by at least 2 or 3 years. Taking into account that 10 million people were killed each year of the war at the average, it means that Marian Rejewski and his colleagues saved approx. 20-30 million of human beings. If the war in Europe had been still in the course in autumn 1945, the first nuclear bomb would have not been dropped on Japan cities, but on Berlin and other cities of European continent. In this sense, Polish cryptologists saved Europe from the use of nuclear weapon. If the War had lasted longer, Russian army would have ended its march to the west not in Berlin and on Elbe River, but in Paris or even farther – and the Iron Curtain of Cold War would have come down on most of Europe. But these are only the most conservative estimates of the importance of the success of Polish cryptologists. Well informed people draw attention to the fact that during the World War II there were periods when the Allies were dangerously close to a partial or total defeat. Losses in the Battle of the Atlantic in mid-1942 caused the level of strategic resources: fuel, food, raw materials for production of weaponry and ammunition, to become dangerously low. If not for the decryption of Enigma messages, if U-Boots had managed to sink a couple dozen vessels more, maybe in the middle of 1942, it would be for Great Britain, unable to arm its soldiers and feed its citizens, to ask for peace. Without the unsinkable aircraft carrier, the British island, the later counterattack with the participation of the American forces would have turned out to be much more complicated, and maybe even impossible.